Sunset Air Conditioning & Heating, Inc. provides exceptional value when it comes to home air conditioning in Naples, Florida. Our customers can trust that we have the knowledge and skill to provide expert air conditioning repair, replacement, installation, sales, and maintenance as well as ductwork cleaning and repair. We have more than 20 years of experience and thousands of satisfied clients throughout Lee and Collier Counties. Our highly trained technicians offer prompt, reliable service and first-rate results. As a testament to our honest business practices, high quality of work, and superior customer care, we have an A+ rating with the Better Business Bureau and receive the majority of our work through repeat customers and referrals. Call Sunset Air Conditioning & Heating today to schedule any of our air conditioning services in Naples, Florida. We're available seven days a week and always keep our prices highly competitive. Our HVAC services are ideal for homeowners, homeowner associations, realtors, property managers, and homewatch organizations. We're home air conditioning specialists with over 20 years of experience. We are a fully insured and licensed Class A HVAC contractor. We're authorized dealers for leading AC brands: Goodman, Trane, Amana, Rheem, and Frigidaire. We keep our service vehicles fully stocked with quality parts. Our technicians are knowledgeable, professional, and reliable. We have an excellent reputation among our 1,000s of satisfied clients. We're available for emergency AC service in Naples. We offer competitively priced AC installation packages. We're driven to achieve complete customer satisfaction. We maintain an A+ rating with the Better Business Bureau. Sunset Air Conditioning & Heating provides the best air conditioner sales and installation services to Naples homeowners. We're an authorized dealer for Trane, Goodman, Amana, Frigidaire, and Rheem, and offer our customers comprehensive installation packages at highly competitive prices. Our standard air conditioning installation packages includes a complete air conditioning system (air conditioner, humidistat, and thermostat), permits, installation, haul-away of the old unit, and a courtesy check-up one year after the installation. For those looking for a more deluxe package, we have a version that includes the air conditioning system with an upgraded programmable thermostat, a humidistat, ultraviolet light air purification, and a surge protector; permits; installation; duct sanitation; haul-away; and preventative maintenance. Each of our packages can be customized to meet your unique needs, whether you are looking to save money, maximize your energy efficiency, or qualify for a utility rebate. We'll apply the industry's best techniques to the installation of your new air conditioner and back it with a one-year labor warranty. Most of the AC equipment we sell comes with a five- to ten-year warranty on parts, and we make an extended labor warranty available to our Naples customers. Call today for a free on-site consultation for air conditioner installation in Naples, and start enjoying a more comfortable home with improved energy savings. If you are calling to replace your air conditioner with a similar model, we can often provide a quote over the phone. Because the climate in Naples can fluctuate between the low 50s to the high 90s throughout the year, a heat pump can provide a cost-effective solution for optimal indoor comfort. A heat pump provides both heating and cooling, and is highly energy efficient. At Sunset Air Conditioning & Heating, we sell and install heat pumps made by Rheem, Trane, Goodman, Amana, and Frigidaire. These brands are all known for their high quality craftsmanship, dependable performance, excellent warranties, and powerful performance. With our diverse selection, we can match you to the ideal heat pump for your indoor comfort needs and budget. Call today to schedule a free on-site consultation regarding your heat pump installation in Naples; we'll help you save money, review your available options, and make you aware of any energy rebates you are qualified to receive. As a licensed air conditioning contractor with more than 20 years of experience, Sunset Air Conditioning & Heating has the knowledge and skill to accurately diagnose and expertly repair all makes and models of air conditioners and heat pumps, including but not limited to Trane, Kenmore, Frigidaire, Day & Night, Bryant, York, American Standard, Coleman, Lennox, Rheem, Amana, Honeywell, Goodman, and Carrier. Our AC repair service in Naples, Florida, features exceptional workmanship, quality parts, and affordable rates. We offer free over-the-phone troubleshooting and always do our best to accommodate emergency AC service requests for our Naples customers. Call today. Preventative maintenance is extremely important to keeping heat pumps and air conditioning units functioning efficiently, smoothly, and reliably. For most residential cooling systems in Naples, a tune-up is usually recommended once a year, typically in the spring. Our 18-point AC tune-up prepares your system for the heavy demands that will be put on it during the hot summer months. It includes cleaning the dirt and debris from the condenser; inspecting and cleaning air filters; deodorizing the air handler; checking electrical components, capacitor, contactor, Freon levels, and compressor; inspecting all safety devices; inspecting the electrical disconnect and breaker; cleaning drain lines and adding algaecide tablets; and inspecting the A/H blower assembly, evaporation coil and pan, ductwork, and plenums. For the best value, Naples customers can sign up for a service agreement, which includes a semi-annual AC tune-up as well as additional benefits, such as same-day service and discounts on repairs. Call today to learn more about our preventative maintenance services or to schedule an air conditioner tune-up in Naples, Florida, or other nearby city. Sunset Heating & Air is proud to provide its comprehensive air conditioning services to communities in and around Naples, Florida. 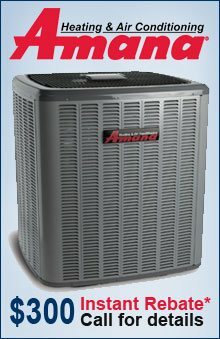 We can provide high-quality, fast AC repair, maintenance, and installation services at a competitive price to Brynwood Preserve, Bella Vita, Whippoorwill, Aviano, Stratford Place, Marbella Lakes, Kensington, Banyan Woods, Tall Pines, Naples Square, Esplanade, Grey Oaks, Naples Twin Lakes, Westlake, Big Cypress, and beyond. Call today to schedule service or a free on-site bid. Thank you, Sunset Air Conditioning! We are so happy with our new Trane Air Conditioning system. The installation was perfect, very clean and professional. Where Sunset Air Conditioning & Heating truly excels is in its ability to determine the best way for southwest Florida's homeowners to achieve superior indoor comfort at a cost-effective price. In addition to selling high-quality air conditioning . . . When it comes to home air conditioning, few heating and air conditioning companies in the Naples or Fort Myers area have as much knowledge and experience as Sunset Air Conditioning & Heating, Inc . . .